15.-19. 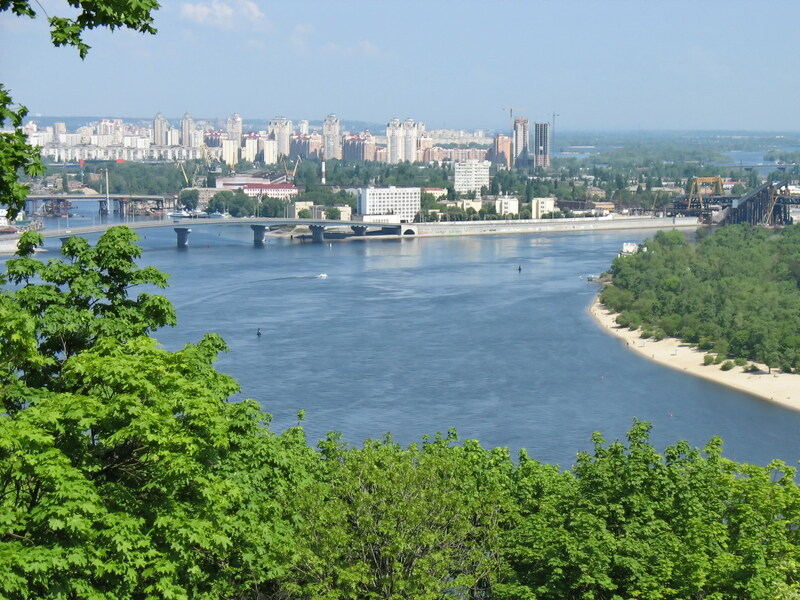 September 2015 Next conference in Rivne! 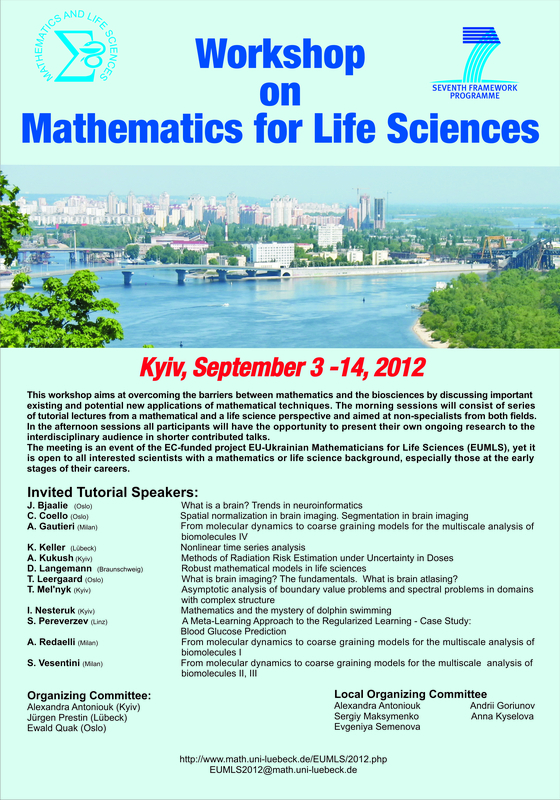 This workshop aims at overcoming the barriers between mathematics and the biosciences by discussing important existing and potential new applications of mathematical techniques. The morning sessions will consist of series of tutorial lectures from a mathematical and a life science perspective and aimed at non-specialists from both fields. In the afternoon sessions all participants will have the opportunity to present their own ongoing research to the interdisciplinary audience in shorter 30-minute contributed talks. 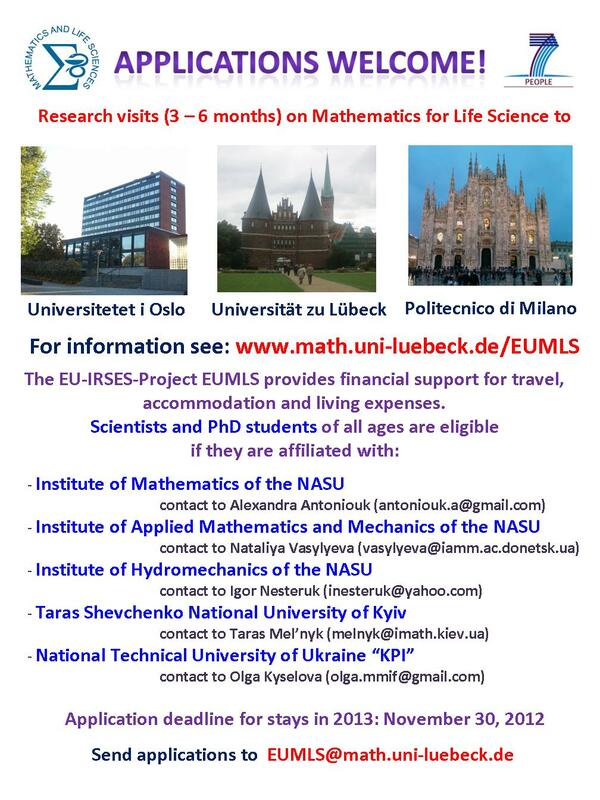 The meeting is an event of the EC-funded project EU-Ukrainian Mathematicians for Life Sciences (EUMLS), yet it is open to all interested scientists with a mathematics or life science background, especially those at the early stages of their careers. T. Leergaard (Oslo) What is brain imaging? The fundamentals. What is brain atlasing?